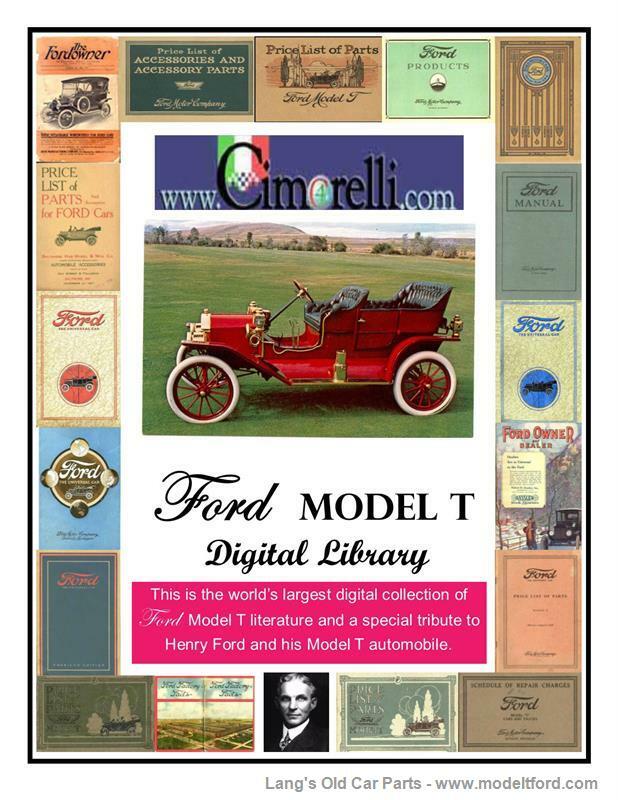 DVD Digital Library of Model T Literature. Compiled by MTFCI. Compiled by Model T Ford Club, International. Over 600 pieces of literature including Price Lists, Owner Manuals, Technical Articles, Service Bulletins & Manuals, Souvenir publications, Product & Accessory Catalogs, Ford Owner and Dealer Magazines, Period Advertising, and much, more. Covers all Model T years plus pre-Model T and Accessories for the Model T Ford offered into mid-century.